I Can't Afford to Bury a Family Member – What Should I Do? I Can’t Afford to Bury a Family Member – What Should I Do? It’s a sad reality that many families and individuals have to deal with, but knowing what to do when you can’t afford to bury a family member can help to relieve some of the stress and heartache of this difficult time. According to the results of the National Funeral Directors Association 2010 General Price List Survey, the national average cost of a funeral with fault was $7,775. Analyze the individual’s life insurance policy. Determine whether some or all of the burial and funeral costs are covered under the deceased’s life insurance policy. Talk to an agent in person or over the phone to go over all of the details, limitations and stipulations associated with the policy so that you understand what is and isn’t covered. 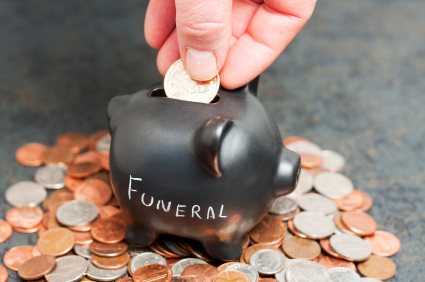 You may find that a good percentage of the funeral costs are already covered. Cremating the body is usually less expensive than burying the body in a casket or vault. If your state doesn’t require embalming the body, consider a “green burial” where you don’t have to pay for a vault, headstone or expensive caskets. You can also shop around to find an affordable casket online. If you have good credit and are comfortable with taking on a personal loan, consider applying for financing from your bank or credit union. Avoid taking out a cash advance on a credit card because you’ll be responsible for paying very high interest charges and could end up carrying that debt for several months, even years. Talk to your bank or credit union about getting a personal loan for the burial, and don’t be afraid to shop around to find the best loan package. Ask other family members to fill in. You may not have to shoulder the responsibility of paying for the burial all by yourself. Consider asking family members to pitch in and help with the costs. Be specific about how much each person could contribute, and put together a cost sheet or budget to keep track of all of your expenses. Talk to your county coroner’s office. If you simply can’t come up with the money to pay for the burial costs, you can sign a release form with your county coroner’s office that says you can’t afford to bury the family member. If you sign the release, the county and state will pitch in to either bury or cremate the body. The county may offer you the option to claim the ashes for a fee, but if these also go unclaimed, they will bury the ashes in a common grave alongside other unclaimed ashes. Question: You’ve answered an email from me before since I’ve been reading Zero Debt and I hope you can answer another question now. Today, my question is for a friend. Her father has had lung cancer for a number of years. He’s not doing very well now. What she needs to know is what will happen to her father’s credit card debt after he passes away. The credit cards are all just in his name. Also, her mother is still living. She has spent a lot of time with her father, taking care of him, and I know she would love to be able to handle all of his financial obligations but she just doesn’t have the means. Answer: The bottom line is that: no family members or relatives are responsible for someone’s credit card debt after that person dies, as long as those surviving family members are not joint owners or co-signers of the debt. Even his wife would not be legally obligated to pay off his credit cards if she is not listed as a co-owner on the account. does the state bury the family member if there is no life ins or money? What happens if you can afford to bury a family member?